What is local marketing, and why do smaller businesses need to engage in it? This means targeting people in your area. Obviously many businesses can go after people around the country. However, others can only do business with local customers. Restaurants and financial planners are prime examples of smaller companies that do business with only local people. There’s only so far people are going to drive to do business with you if you have a physical location. However, if you have a business that lends itself to national customers, you can also target local customers separately. There are some people that would simply rather do business with local companies. Therefore, you might want to do some local advertising apart from your national efforts. This is one of the cheapest ways to target people in your area. When done right, it can be effective. The problem with it is that it’s very untargeted. The majority of people reading the paper will not be interested in your product. However, if even a small percentage respond, it can be effective. This is another one of the “traditional methods” of local advertising. It’s been around a long time, and when done right it can again be effective. This is hands down one of the top local advertising methods. This is where you buy a list of people in your area based on certain characteristics. You can choose based on age, gender, income level, etc. then you would send out an advertising campaign to them. This way, you can choose exactly who you want to focus on. Therefore, it’s more targeted than the previous two. Online advertising is another effective strategy to get local customers. So how do you convert traffic into sales? Now that you know how to drive traffic to your offer, you have to focus on making sales. This should be your main goal, so you can keep marketing to them. The average customer requires at least four to seven touches before they do business with you. Therefore, if you give up after the first contact you are probably missing out on the majority of your sales. Track each advertising source separately. You might want to track each advertising method, so you can tell what’s working and what isn’t. For this reason, you might want to send the traffic from each source to a different place so you can tell what’s working and what isn’t. The bottom line is, local advertising can be effective when done right. Implement these tips, and you will get your marketing efforts on track. Julianne Alvarez-Wish is a military wife, mother, business owner, professional writer, blogger and legislative advocate. She is the Director of Communications for Our Milk Money, the Colorado State Leader for the National Association for Moms in Business and the owner of Buy By Mom and Buy By Mom Blog. 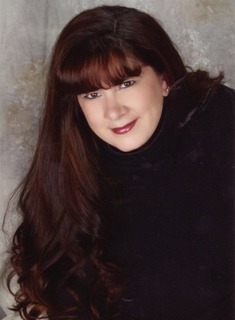 She is the Colorado Springs Stay-at-Home Mom Examiner for Examiner.com. She also blogs at A Wishful Thought. Her passion, purpose and goal is to help parents work from home so they can be home with their children. This entry was posted in Julianne Wish, Member Contributions and tagged bbm, julianne wish, local marketing, marketing, marketing locally, marketing to local community, omm. Bookmark the permalink.